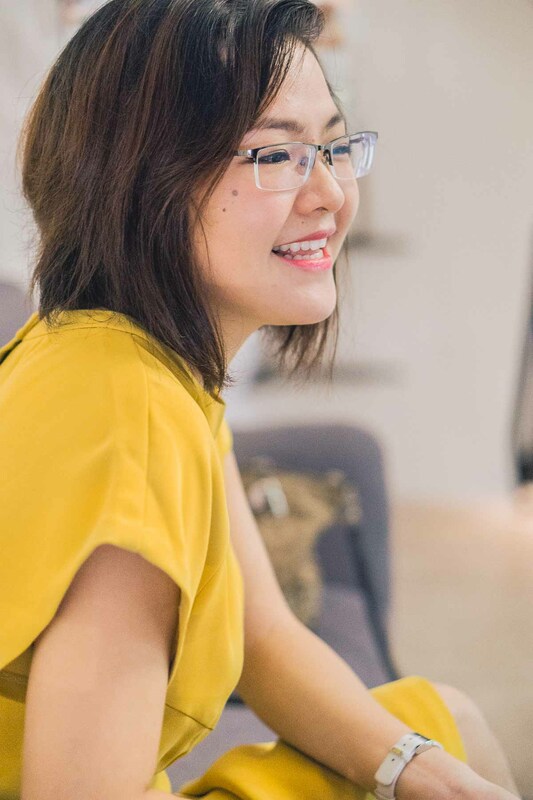 One of the earliest influencers of the new Vietnam is YouTube personality Helen Le, host of the Helen’s Recipes YouTube channel. 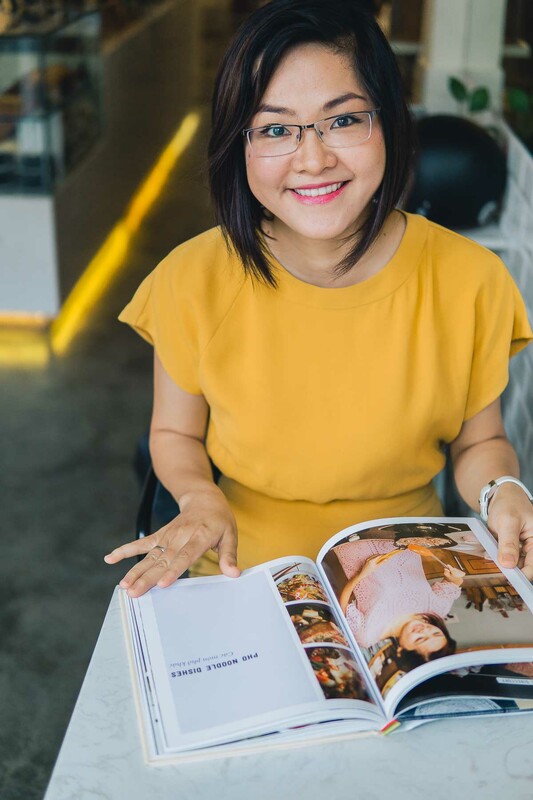 With a following of more than 360,000 strong worldwide, Helen’s work has reached global audiences and has told the story of not only Vietnamese food, but also of its culture and history. 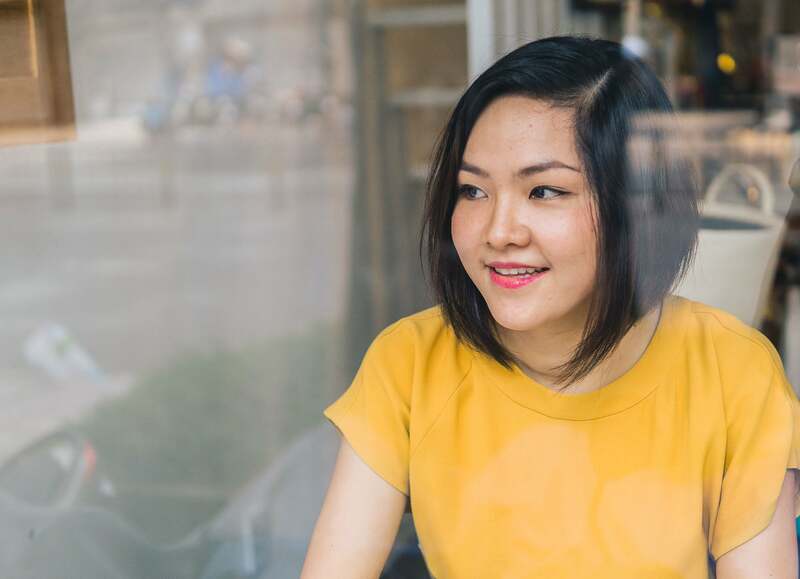 We were lucky enough to connect with Helen to learn about her YouTube journey and how she ended up becoming one of Vietnam’s most popular international YouTube personalities. 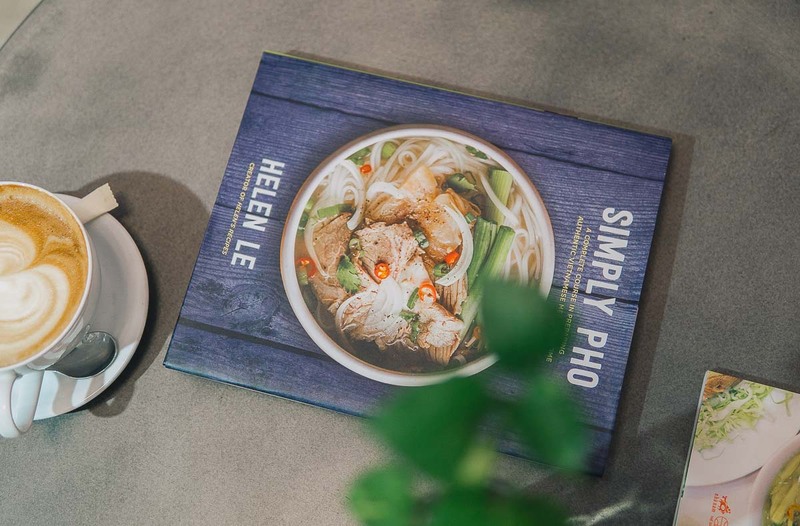 Check out Helen’s cookbooks for more inspiration: Simply Pho and Vietnamese Food with Helen’s Recipes. So why did you move back to Vietnam? Was it just for the YouTube channel? I lived 11 years overseas, five in Singapore while studying for my degree and six years in Germany. I speak German, English, and Vietnamese. I started the YouTube channel in Germany and gradually moved into a full-time commitment with it when I moved back to Vietnam in 2014. My family is still here in Vietnam. Germany is nice, there are always pros and cons. The standard of living, shopping, and hospitals overseas are good. But it was still lacking sentimental value and a connection with the people. That’s why I returned to Vietnam. While I was abroad, I came back often. At least once a year. I would film street vendors making hu tieu, cakes, and dumplings. I’ll occasionally take a few clips of the street scene and showcase it in my videos to introduce it to the YouTube channel. How they serve and prepare each dish in Vietnam. Then I’ll show the audience how to actually make it themselves. I try to introduce the culture and history of Vietnam. What was your first video on YouTube? A video on how to make dipping sauce, nuoc mam. I was planning on making the first video on banh bot loc. But I was struggling with with the technical element of the preparation so I skipped it. Eventually the banh bot loc video came out and the engagement was encouraging. I didn’t even own a camera at the time. I borrowed a camera with a disk from my uncle who didn’t even want to use it because it was too old! Back then, I recorded my voice with a phone and put it all together. I didn’t even show up in the first video, it was only my hands with the food. It took some time to get comfortable in front of the camera. Helen’s Recipes now has more than 300 videos on YouTube. What sorts of opportunities have come through your YouTube channel? Some brands come to me to do some advertising. I’ve developed cookbooks. I never even read cookbooks, I’m more visual. I love watching videos. Why would I buy a cookbook, let alone start my own? But then I found out so many people were requesting it after discovering my channel. So I made one called Vietnamese Food with Helen’s Recipes and now it’s selling on Amazon. Later a publisher in Vietnam wanted to translate it, so we did that. Mon An Viet with Helen. One day I got an email from a publisher in New York, who wanted to prepare pho for her company’s year-end potluck party. She found the channel on YouTube and liked it a lot. 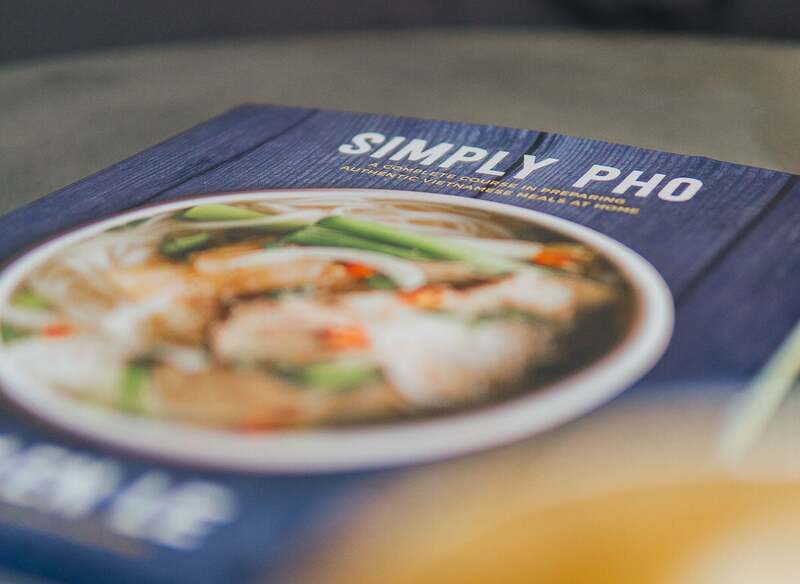 After connecting, she suggested creating a simple book only about pho. And so we did that. Simply Pho, it’s releasing on September 25th, 2017. Did you ever hope to make it full-time as a YouTuber? I was hoping to when I started! I had a plan before I posted the first video. I was watching successful channels on YouTube. I remember watching a popular Japanese YouTube channel that featured a nice studio and camerawork. I was a student, living in a shared flat in Germany. It was just a dream. I remember thinking that it will take a lot more time to realize that dream. When I started the channel, it was also a bad time personally. I remember working on my thesis, I just ended a relationship, and the weather was terrible. There was nothing to do in the afternoon after breaking up with my boyfriend. I just started filming. It was a way to relieve stress. How often are you publishing videos and what videos are the most effective? I’m publishing new videos once a week. The most popular recipes are items like pho and spring rolls. The best of all time is the roasted pork, thit heo quay. Two million views and counting. It’s easy way to make it. My method is simple and and has a high first-time success rate. What sort of new content can your followers expect to see from Helen’s Recipes? I’m spontaneous! I don’t want to plan too far in advance. My goal with Helen’s Recipes is to showcase that Vietnamese food is more than just pho, bun, or spring rolls. There are so many dishes to try. We try to feature many regional dishes from smaller provinces like Dalat or Vung Tau. There are less well-known foods in my videos that get less views, but I still love them. I want to offer viewers a well-rounded perspective on Vietnamese cuisine. Some dishes you cannot make at home. Some are too exotic. And there are some ingredients you cannot make. I also like to share my travels to different countries like Taiwan and Japan. What are your favorite Vietnamese dishes to eat and make? My favorites to eat are bun bo hue, bun mam nem. They are very unique to Central Vietnam. The dishes are bold, they aren’t for everyone. My favorite to make is mi quang. Then there are the everyday dishes like thit kho tau and ca kho. Which video is the most meaningful to you? All my videos remind me of different periods of my life. When I was in Germany as a student in living in a hostel. When I graduated from university. When I started my career and moved back to Vietnam. Every video I look back and it’s emotional. Each one is linked to a certain period of my life. Each video reminds me of how often I’ve changed my kitchen, moving from hostels to a friend’s place, different apartments, when I first lived on my own in Vietnam, and when I got married. Each video illustrates a certain mood and occasion of my life. It’s like a diary. If you didn’t have the cookbooks, would your channel be sustainable? Yes. Fortunately I have enough viewers from around the world. And advertisers are increasing their commitment levels for Vietnam-based views. When was your big break with YouTube? After 100,000 subscribers I felt like I could leave my job and do it full-time. I left my day job two years after the channel started. At the time I was posting once a week. Today I still post videos once a week. I have a team now, a cameraman and personal assistant. The quality has improved considerably since I started. Today, the shows are still shot mostly in my house and kitchen. But it’s also a studio. A studio kitchen! Can you tell us more about who watches your videos? Geographically, 50% from the US. 18-20% of my followers are watching from Vietnam. My videos feature Vietnamese subtitles for that audience. Germany, Canada, Australia, and Holland come after that. 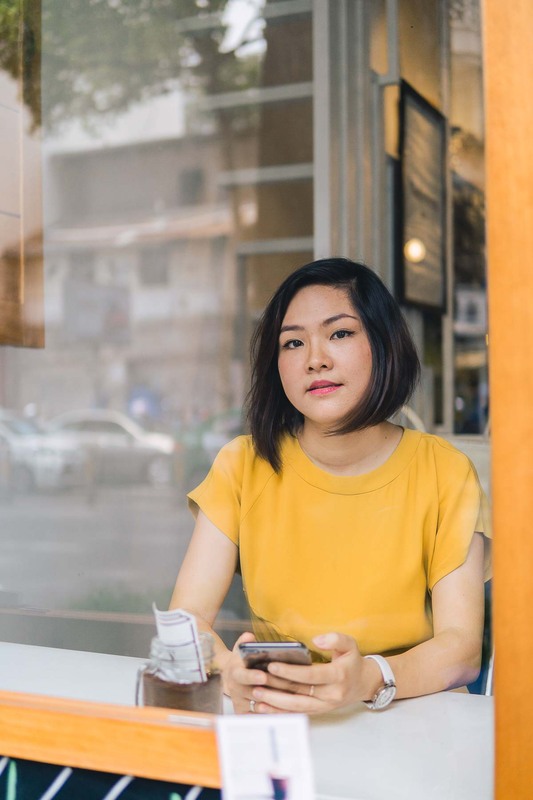 Many are foreigners traveling to Vietnam, have a Vietnamese spouse, friend, or is somehow connected to the country. Lots of Vietnamese living overseas as well. Two years ago I was invited to the YouTube pre launch party in Vietnam. YouTube’s commitment to Vietnam has been around for only two years, before that there were no dedicated Vietnamese employees. Now it’s the second largest market in the world for YouTube for many video-watching metrics. Would you ever open your own restaurant or cooking studio? My sister, who is a co-writer at Danangcuisine.com, just opened a restaurant in Da Nang, Nen Restaurant. It’s one of the few fine dining restaurants in Da Nang, It’s a very unique experience, I’ve never had food like it before. It’s only got three tasting menus, each featuring eight courses. It’s the sort of place you try every season. With that said, I don’t want to fix myself in the restaurant world. I’ll stay online for now. Are there any other Vietnam-based YouTubers that we should speak with next? Sonny from the Best Ever Food Review Show. He produces funny, entertaining videos about food around the world, primarily Asia and Vietnam since he lives here. Vat Vo Studio. A laid back guy and very relatable to his audience. And successful too. He’s the number one technical product reviewer in the Vietnam market. Think computers, laptops, phones. He’s always invited to try all of the new products. Phan Dung, founder of Big CAT which owns some of Vietnam’s biggest YouTube entertainment channels.